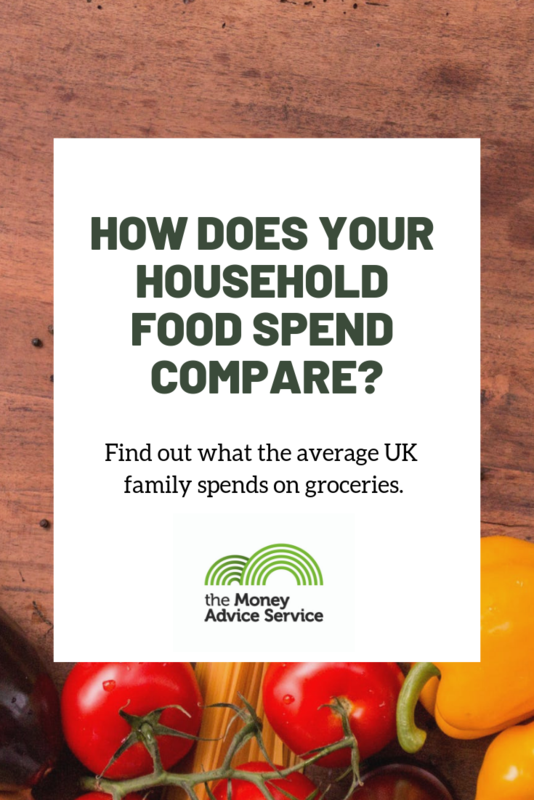 How does your household food spend compare? Wine, bread and veg are among our biggest spends at the supermarket, with the average family weekly food shop coming in at £53.20. The average spend on everyday items has been broken down in a new report from the Office of National Statistics (ONS). The report covers a huge range of expenditures, including food, transport and education - totalling an average of £528.90 a week. Transport and housing come out as the biggest expenses, but we’ve delved into the food and drink figures to show you not just what we’re buying as a nation, but also how much we’re spending on it all. This data comes from ONS 2017 Family Spending in the UK review and includes food and drink consumed in the home, but excludes food and drink outside the home, domestic cleaning items, toiletries and medication. Obviously we’re spending more on some products than others. We’re a country that loves carbs. Bread and biscuits – combined with pasta and rice, add up to £9 a month in total. We spend more on fish than any type of meat, while some items are costing us less because they’re generally quite cheap – eggs, tea and coffee for example. How does your weekly spend compare? Spending varies around the country. People in Northern Ireland have a weekly basket worth £59, while those in the North East of England spend just £45.50. This doesn’t necessarily mean food costs more or less in the different areas. Higher disposable income in the South East will account for some of the increased spend in this region. The figures also show the variations in spend across the country on specific items. Despite being one of the biggest spenders on food each week, Londoners proportionally spend less on cake than the other regions. You can find out more about how much people spend and what they buy on the ONS website. What about couples, or those on their own? Where do you assume everyone lives in a family of four! Why do you only compare prices fir families? Can't see anywhere average spend for dingoes! What does 'per family' mean? How large is a family or is this £53.20 per person within a family. Please be clear otherwise your data and this article is worthless on that count... this is not clear at all. Yes we can all spend less by eating rubbish i.e. cheap bulk foods such as bread, cereals and processed cheap meats. To eat healthy, we shop at Lidl and our shopping for a family of 4 ranges between £80-100 with top ups not included. Eating cheap is not eating healthy. That's a fact! I spend weekly between 90-120 for two person. We cook every day. This includes all household product, 2-3frut, 4-5 snacks and 2-3 juice or other drink. I spend extra 15 for guinea pigs monthly. Would be good to have a budget planner just for food shops to see the difference between shopping habits ranging from weekly supermarket to shopping for each day at independent shops. Shocked to see why some people think £50 is too less. My family (wife, toddler and myself) is vegetarian and our average weekly shop comes to around £35 (Aldi). We buy things like rice, pasta and pulses in bulk. And top up on vegetables, milk, bread and yoghurt. This also includes all our baby and household good (nappies, wipes, washing up liquid, toilet rolls etc) If we shopped the same at Sainsburys, we spend around £60-70.....Hurray for Aldi and Lidl! We are a family of four and we spend £40 on weekly food shop and under £10 on top ups - £40 includes nappies. We used to spend over £120, then got down to £70/80 and more recently £40/50 a week. We don’t eat a lot of meat though, more fish. This does not include toiletries or cleaning products as buy in bulk from other retailers. Planning, cooking from scratch and freezing has really helped reduce cost. If we are more meat our weekly bill would be much more. We are a family of 4 including cat food, cleaning products, batteries or anything we need id say it's more like £150 a week if we put in takeaways and lunch out one day of a weekend if out somewhere with the kids it's more like £200 a week ... wanting to cut back but I feel £120 a week would be minimum we could do a supermarket shop on! January 2018. We are a family of 4 and careful shopping with Ocado which does include a bottle of wine perhaps twice or three times a month comes to about 250 - 260 per month. This includes everything including cleaning products. It doesnt include the dog. We have 2 teenagers who can be fussy - frozen chips and dippers being their preferred choice but me and my husband eat well on this budget too. The statistics used in this blog post are for food and drink consumed at home only, and excludes food and drink outside the home, domestic cleaning items, toiletries and medication. The data we have used is from the Office of National Statistics (ONS) 2017 Family spending in the UK review and ONS data is the most robust data in the country for this type of analysis. Based on my 40 years on food shopping experience this report nonsense. It is statistics extrapolated too far, rendering the results meaningless. I would suggest that economically shopping for a couple today is a minimum weekly spend of £75. To suggest an average family spend of £53.20 is highly misleading. Very poor. the question is not answered in the text. No indication of what the a typical family consists of 2.2 Kids? Also talks of weekly supermarket spend and totally ignores other top up or incidental purchases. 1/10 must try harder. As a family of 3 we spend an average of 35 pounds a week in total , shopping in Morrisons and the local butchers . No ready meals or premade foods ,no ready made sauces , just all fresh vegetables and meats . We favour own brand products as generally they contain less salt and sugar . If we spent 100 a week I suspect the kitchen would be full floor to ceiling in 3 months . We do have 2 freezers to save cooked foods and batch make basic meals sometimes . We do not have any food waste , none . Peelings go in compost and the occasional stale slice out to the birds . Given all these comments - which totally echo my confusion - why hasn't someone from MAS replied and given some clarification on this on the website? Totally unhelpful. This is nonsense. We shop at Aldi (purportedly one of the the cheapest supermarkets) and typically spend more than £100 on a weekly shop for a family of four, without being too extravagant. Much more at Christmas and on special occasions. You should say 'household' instead of 'family'. Do single people or couples spend this money? Or families with 5 kids? Where on earth are these figures from? My weekly supermarket spend is now about £120 for 2 adults and 2 kids. No alcohol. No cigarettes. But it does include cleaning products, batteries and all the other odd bits. I think my family is more the norm. How can the average family weekly food spend for Britain be £53.20/week? That's £7.50/day (remember there are 7 days in a given week). Even with just one person per family (does that even constitute a 'family'? ), that is a pretty tight budget. A Tesco meal deal (which I would consider 'cheap' food) costs £3. While McDonalds/KFC/Burger king (which is relatively cheap food) costs close to this £7.50/day family budget. Either these stats are wrong or I don't realize the lifestyle I'm living. It's not like I go to restaurants often. Should do a survey to see how many respondents have tucked into a nice juicy steak from Gaucho? - If this is the true state of affairs in Britain, then this country cannot really be considered 1st world. As beef, pork, lamb, bacon and ham and poultry are itemised separately, what does the other meat and meat preparations consist? The cost at £6.20 pw is the highest single item outlay so it would be helpful to have a breakdown. 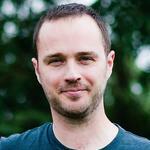 Have to agree with previous comments, without size of family the statistics are pointless. Is the £53.20 per person per week? or is it an average household budget? and does it include giving kids dinner money to take to school? i know families that give each child £5 per day and that's for food, so are people including this in how they report their food spending? i suspect not, or the average would be a lot higher.. There's no correlation between what's spent and size of household, I would have thought that was a fairly fundamental statistic to enable people to see how their weekly shop compares? If a family of 3 (2 adults & 1 child) are spending the same as a family of 5 (2 adults & 3 children) then it could give the family of three an idea of whether they're spending wisely or not.